Christ Lutheran Church began as an outreach of Resurrection Lutheran in Fredericksburg TX during a 2016 congregational strategic planning retreat to spread the Gospel to a county without a Confessional Lutheran congregation. A “front porch” Bible study started in 2016 with Johnson City and Henly locals. The members of the Bible study hosted a Vacation Bible School at Pleasant Hill and Rocky Schoolhouse at Rocky Road and US 290 the following summer in June 2017 for area families. After VBS they moved the Bible study to the Johnson City Library meeting room and looked for a more permanent location to host weekly services. 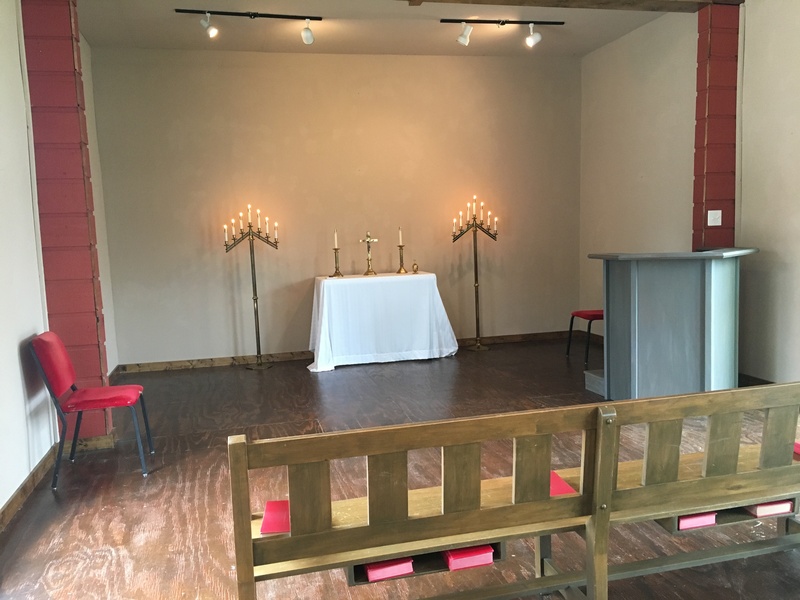 In October 2017, a space in The Old Lumberyard was found to rent and use as a sanctuary. It was dedicated on November 17, 2017 and weekly Vespers services and catechism study commenced. VBS was again hosted at Christ Lutheran in June of 2018 for area families. On Reformation Day, October 31st, 2018, Christ Lutheran became an independent mission congregation sponsored by the Texas District of the LCMS. Christ Lutheran continues to meet weekly on Sundays at 2:30pm and invites the surrounding community to join us at 209 East Main Street, Building C, in proclaiming the pure Gospel of Jesus Christ as revealed in Holy Scriptures. Copyright © 2019 Christ Lutheran Church Johnson City, Texas.